Ottawa: Harjit Sajjan, an Indo-Canadian Sikh, was named Canada's new Defence Minister as Prime Minister Justin Trudeau's 30-member cabinet was sworn in at a ceremony here. Harjit Sajjan, a decorated Lt Colonel in the Canadian Armed Forces who is elected as a MP for Vancouver South, is a combat veteran and has served in Bosnia and had three deployments to Kandahar, Afghanistan. Justin Trudeau was sworn in as Canada's 23rd Prime Minister today before a packed crowd, almost 50 years after his father took on the job. 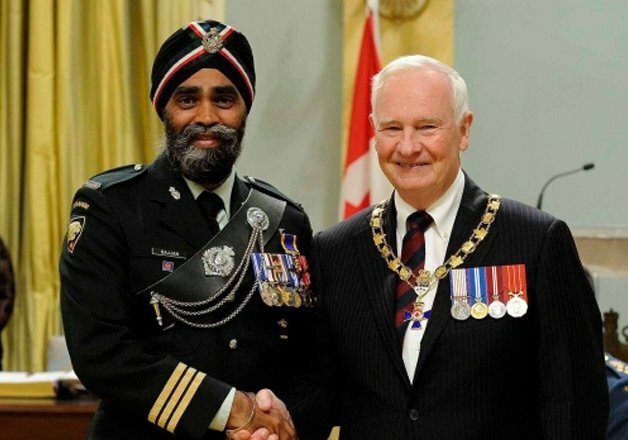 Sajjan, who is part of Trudeau's 30-member Cabinet that was sworn in during a ceremony at Rideau Hall, has received numerous military honours, including the Meritorious Service Medal in 2013, for reducing the Taliban's influence in the Kandahar Province. "His approach, based on his knowledge of local culture and tribal dynamics, helped senior management to engage with influential Afghan tribal leaders, and led to the identification of insurgent command and control connection points," according to the citation on the Governor General's website. Sajjan, who is in his mid-forties, was born in India and moved to Canada with his family when he was five-years-old, CBC News reported. As the new Defence Minister, Sajjan will work with Trudeau on reshaping Canada's combat mission fighting ISIS in Iraq and Syria. Canada's incoming government has said it will withdraw fighter jets from the US-led coalition and stick to training Iraqi troops.